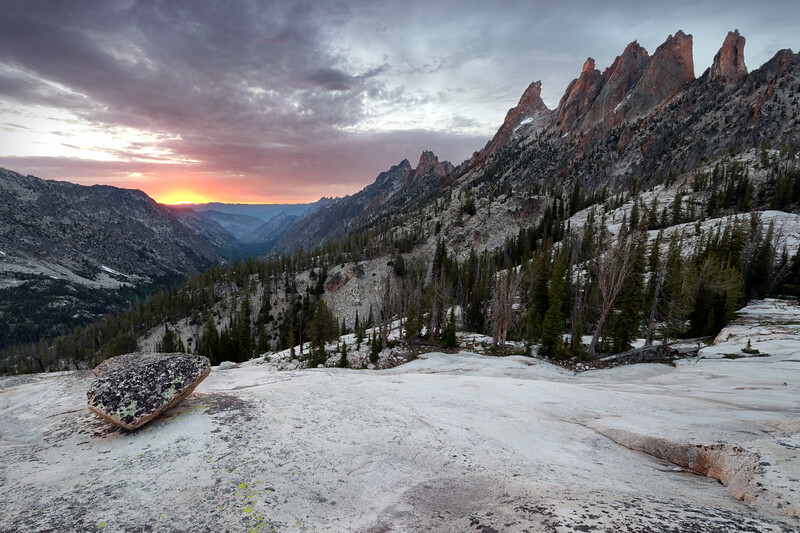 Sunset over the formidable Goat Creek drainage, with a line of granite spires separating it from the much more pleasant, Baron Creek drainage. The glacier polished rock floors of this valley support a small village of these lonely stones, long forgotten remnants of the great glaciers or left here after an escape from the peaks above. Either way, they always look to me like they always want to be back with their friends, nestled together in a great field of boulders.